When you switch to English, everything works. Logging in with game center and after launching the game this screen appears every time without exeption so I have to login twice always. This problem exists since pathces ago. Is there any solution or is this another bug for? you want a screenshot in English ... here you are ! Disconnects when loading the game. Disconnects after a completed battle. Password deleted on the first time logging back in. Sound bugs especially in sniper view. Disconnected from the server when signing in, unbeliveable. Edited by Tsunamyboy, 23 March 2019 - 09:59 PM. i have this one everyday now ! Once again guys, a very important note: if you have problems with disconnection please attach your logs here on forum/on Discord/create a Support ticket. 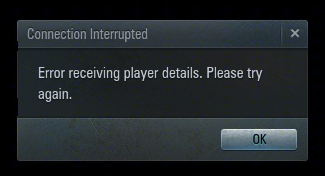 The same goes with the "error receiving player details". Your reports help to find out that the problem exists but any additional information really helps in this issues investigation. 0.002 INFO: Added res path: "D:/Games/World_of_Warplanes_EU/res_mods/2.0.11.0" (from paths.xml). 0.002 INFO: Added res path: "D:/Games/World_of_Warplanes_EU/res/packages/00_16_Factory_Hangar_2016_hd.pkg" (from paths.xml). 0.002 INFO: Added res path: "D:/Games/World_of_Warplanes_EU/res/packages/00_18_hangar_premium_2017_hd.pkg" (from paths.xml). 0.002 INFO: Added res path: "D:/Games/World_of_Warplanes_EU/res/packages/00_19_hangar_base_2017_hd.pkg" (from paths.xml). 0.002 INFO: Added res path: "D:/Games/World_of_Warplanes_EU/res/packages/00_23_hangar_birthday_2017_hd.pkg" (from paths.xml). 0.002 INFO: Added res path: "D:/Games/World_of_Warplanes_EU/res/packages/00_24_Factory_Hangar_2018_hd.pkg" (from paths.xml). 0.002 INFO: Added res path: "D:/Games/World_of_Warplanes_EU/res/packages/00_25_Hangar_WG_20_hd.pkg" (from paths.xml). 0.002 INFO: Added res path: "D:/Games/World_of_Warplanes_EU/res/packages/00_26_hangar_Hurricane_hd.pkg" (from paths.xml). 0.002 INFO: Added res path: "D:/Games/World_of_Warplanes_EU/res/packages/00_27_hangar_NY_2019_hd.pkg" (from paths.xml). 0.002 INFO: Added res path: "D:/Games/World_of_Warplanes_EU/res/packages/00_28_hangar_Vengeance_hd.pkg" (from paths.xml). 0.002 INFO: Added res path: "D:/Games/World_of_Warplanes_EU/res/packages/00_28_hangar_Vengeance_peace_hd.pkg" (from paths.xml). 0.002 INFO: Added res path: "D:/Games/World_of_Warplanes_EU/res/packages/05_lighthouse_hd.pkg" (from paths.xml). 0.002 INFO: Added res path: "D:/Games/World_of_Warplanes_EU/res/packages/06_tutorial_hd.pkg" (from paths.xml). 0.002 INFO: Added res path: "D:/Games/World_of_Warplanes_EU/res/packages/09_arctic_hd.pkg" (from paths.xml). 0.002 INFO: Added res path: "D:/Games/World_of_Warplanes_EU/res/packages/10_eastern_front_hd.pkg" (from paths.xml). 0.002 INFO: Added res path: "D:/Games/World_of_Warplanes_EU/res/packages/12_fjords_hd.pkg" (from paths.xml). 0.002 INFO: Added res path: "D:/Games/World_of_Warplanes_EU/res/packages/13_harbor_hd.pkg" (from paths.xml). 0.002 INFO: Added res path: "D:/Games/World_of_Warplanes_EU/res/packages/14_adriatic_hd.pkg" (from paths.xml). 0.002 INFO: Added res path: "D:/Games/World_of_Warplanes_EU/res/packages/17_winter_war_hd.pkg" (from paths.xml). 0.002 INFO: Added res path: "D:/Games/World_of_Warplanes_EU/res/packages/55_el_hallouf_5_hd.pkg" (from paths.xml). 0.002 INFO: Added res path: "D:/Games/World_of_Warplanes_EU/res/packages/62_asian_border_7_hd.pkg" (from paths.xml). 0.002 INFO: Added res path: "D:/Games/World_of_Warplanes_EU/res/packages/69_ocean_hd.pkg" (from paths.xml). 0.002 INFO: Added res path: "D:/Games/World_of_Warplanes_EU/res/packages/73_observatory_hd.pkg" (from paths.xml). 0.002 INFO: Added res path: "D:/Games/World_of_Warplanes_EU/res/packages/75_fortress_3_hd.pkg" (from paths.xml). 0.002 INFO: Added res path: "D:/Games/World_of_Warplanes_EU/res/packages/76_plateau_5_hd.pkg" (from paths.xml). 0.002 INFO: Added res path: "D:/Games/World_of_Warplanes_EU/res/packages/shared_content_spaces_hd.pkg" (from paths.xml). 0.002 INFO: Added res path: "D:/Games/World_of_Warplanes_EU/res/packages/shared_content_aircrafts_hd.pkg" (from paths.xml). 0.002 INFO: Added res path: "D:/Games/World_of_Warplanes_EU/res/packages/vehicles_airplane_1_hd.pkg" (from paths.xml). 0.002 INFO: Added res path: "D:/Games/World_of_Warplanes_EU/res/packages/vehicles_airplane_2_hd.pkg" (from paths.xml). 0.002 INFO: Added res path: "D:/Games/World_of_Warplanes_EU/res/packages/vehicles_airplane_3_hd.pkg" (from paths.xml). 0.002 INFO: Added res path: "D:/Games/World_of_Warplanes_EU/res/packages/vehicles_airplane_4_hd.pkg" (from paths.xml). 0.002 INFO: Added res path: "D:/Games/World_of_Warplanes_EU/res/packages/vehicles_airplane_5_hd.pkg" (from paths.xml). 0.002 INFO: Added res path: "D:/Games/World_of_Warplanes_EU/res/packages/vehicles_airplane_5_hd-1.pkg" (from paths.xml). 0.002 INFO: Added res path: "D:/Games/World_of_Warplanes_EU/res/packages/vehicles_airplane_6_hd.pkg" (from paths.xml). 0.002 INFO: Added res path: "D:/Games/World_of_Warplanes_EU/res/packages/vehicles_airplane_7_hd.pkg" (from paths.xml). 0.002 INFO: Added res path: "D:/Games/World_of_Warplanes_EU/res/packages/vehicles_airplane_7_hd-1.pkg" (from paths.xml). 0.002 INFO: Added res path: "D:/Games/World_of_Warplanes_EU/res/packages/vehicles_airplane_8_hd.pkg" (from paths.xml). 0.002 INFO: Added res path: "D:/Games/World_of_Warplanes_EU/res/packages/vehicles_airplane_8_hd-1.pkg" (from paths.xml). 0.002 INFO: Added res path: "D:/Games/World_of_Warplanes_EU/res/packages/vehicles_airplane_9_hd.pkg" (from paths.xml). 0.002 INFO: Added res path: "D:/Games/World_of_Warplanes_EU/res/packages/vehicles_airplane_10_hd.pkg" (from paths.xml). 0.002 INFO: Added res path: "D:/Games/World_of_Warplanes_EU/res/packages/misc_hd.pkg" (from paths.xml). 0.002 INFO: Added res path: "D:/Games/World_of_Warplanes_EU/res/packages/00_16_Factory_Hangar_2016.pkg" (from paths.xml). 0.002 INFO: Added res path: "D:/Games/World_of_Warplanes_EU/res/packages/00_18_hangar_premium_2017.pkg" (from paths.xml). 0.002 INFO: Added res path: "D:/Games/World_of_Warplanes_EU/res/packages/00_19_hangar_base_2017.pkg" (from paths.xml). 0.002 INFO: Added res path: "D:/Games/World_of_Warplanes_EU/res/packages/00_23_hangar_birthday_2017.pkg" (from paths.xml). 0.002 INFO: Added res path: "D:/Games/World_of_Warplanes_EU/res/packages/00_24_Factory_Hangar_2018.pkg" (from paths.xml). 0.002 INFO: Added res path: "D:/Games/World_of_Warplanes_EU/res/packages/00_25_Hangar_WG_20.pkg" (from paths.xml). 0.002 INFO: Added res path: "D:/Games/World_of_Warplanes_EU/res/packages/00_26_hangar_Hurricane.pkg" (from paths.xml). 0.002 INFO: Added res path: "D:/Games/World_of_Warplanes_EU/res/packages/00_27_hangar_NY_2019.pkg" (from paths.xml). 0.002 INFO: Added res path: "D:/Games/World_of_Warplanes_EU/res/packages/00_28_hangar_Vengeance.pkg" (from paths.xml). 0.003 INFO: Added res path: "D:/Games/World_of_Warplanes_EU/res/packages/00_28_hangar_Vengeance_peace.pkg" (from paths.xml). 0.003 INFO: Added res path: "D:/Games/World_of_Warplanes_EU/res/packages/05_lighthouse.pkg" (from paths.xml). 0.003 INFO: Added res path: "D:/Games/World_of_Warplanes_EU/res/packages/06_tutorial.pkg" (from paths.xml). 0.003 INFO: Added res path: "D:/Games/World_of_Warplanes_EU/res/packages/09_arctic.pkg" (from paths.xml). 0.003 INFO: Added res path: "D:/Games/World_of_Warplanes_EU/res/packages/10_eastern_front.pkg" (from paths.xml). 0.003 INFO: Added res path: "D:/Games/World_of_Warplanes_EU/res/packages/12_fjords.pkg" (from paths.xml). 0.003 INFO: Added res path: "D:/Games/World_of_Warplanes_EU/res/packages/13_harbor.pkg" (from paths.xml). 0.003 INFO: Added res path: "D:/Games/World_of_Warplanes_EU/res/packages/14_adriatic.pkg" (from paths.xml). 0.003 INFO: Added res path: "D:/Games/World_of_Warplanes_EU/res/packages/17_winter_war.pkg" (from paths.xml). 0.003 INFO: Added res path: "D:/Games/World_of_Warplanes_EU/res/packages/55_el_hallouf_5.pkg" (from paths.xml). 0.003 INFO: Added res path: "D:/Games/World_of_Warplanes_EU/res/packages/62_asian_border_7.pkg" (from paths.xml). 0.003 INFO: Added res path: "D:/Games/World_of_Warplanes_EU/res/packages/69_ocean.pkg" (from paths.xml). 0.003 INFO: Added res path: "D:/Games/World_of_Warplanes_EU/res/packages/73_observatory.pkg" (from paths.xml). 0.003 INFO: Added res path: "D:/Games/World_of_Warplanes_EU/res/packages/75_fortress_3.pkg" (from paths.xml). 0.003 INFO: Added res path: "D:/Games/World_of_Warplanes_EU/res/packages/76_plateau_5.pkg" (from paths.xml). 0.003 INFO: Added res path: "D:/Games/World_of_Warplanes_EU/res/packages/shared_content_spaces.pkg" (from paths.xml). 0.003 INFO: Added res path: "D:/Games/World_of_Warplanes_EU/res/packages/shared_content_aircrafts.pkg" (from paths.xml). 0.003 INFO: Added res path: "D:/Games/World_of_Warplanes_EU/res/packages/vehicles_airplane_1.pkg" (from paths.xml). 0.003 INFO: Added res path: "D:/Games/World_of_Warplanes_EU/res/packages/vehicles_airplane_2.pkg" (from paths.xml). 0.003 INFO: Added res path: "D:/Games/World_of_Warplanes_EU/res/packages/vehicles_airplane_3.pkg" (from paths.xml). 0.003 INFO: Added res path: "D:/Games/World_of_Warplanes_EU/res/packages/vehicles_airplane_4.pkg" (from paths.xml). 0.003 INFO: Added res path: "D:/Games/World_of_Warplanes_EU/res/packages/vehicles_airplane_5.pkg" (from paths.xml). 0.003 INFO: Added res path: "D:/Games/World_of_Warplanes_EU/res/packages/vehicles_airplane_6.pkg" (from paths.xml). 0.003 INFO: Added res path: "D:/Games/World_of_Warplanes_EU/res/packages/vehicles_airplane_7.pkg" (from paths.xml). 0.003 INFO: Added res path: "D:/Games/World_of_Warplanes_EU/res/packages/vehicles_airplane_8.pkg" (from paths.xml). 0.003 INFO: Added res path: "D:/Games/World_of_Warplanes_EU/res/packages/vehicles_airplane_9.pkg" (from paths.xml). 0.003 INFO: Added res path: "D:/Games/World_of_Warplanes_EU/res/packages/vehicles_airplane_10.pkg" (from paths.xml). 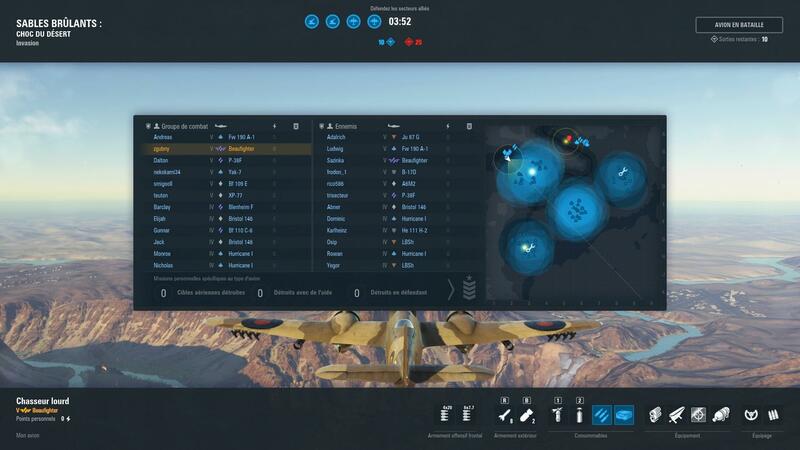 0.003 INFO: Added res path: "D:/Games/World_of_Warplanes_EU/res/packages/gui.pkg" (from paths.xml). 0.003 INFO: Added res path: "D:/Games/World_of_Warplanes_EU/res/packages/shaders.pkg" (from paths.xml). 0.003 INFO: Added res path: "D:/Games/World_of_Warplanes_EU/res/packages/misc.pkg" (from paths.xml). 0.003 INFO: Added res path: "D:/Games/World_of_Warplanes_EU/res/packages/misc-1.pkg" (from paths.xml). 0.003 INFO: Added res path: "D:/Games/World_of_Warplanes_EU/res" (from paths.xml). 0.003 INFO: Added res path: "D:/Games/World_of_Warplanes_EU/res_bw" (from paths.xml). 10.869 INFO: UserDataObjectDescription::parseProperties: property TriggerPoint.actualModes is being overridden. 11.931 WARNING: loadIKDataFromFile: Failed to load vehicles/airplanes/russian/SU65_PE2_M82/t-pe-2-m-82-top-1.ik! 15.588 ERROR: XMLSection::asInt: Invalid value "false" returns "3" in section "deflectionTest1"
18.074 WARNING: [SCRIPT] (scripts/client/VOIP/API.py, 334): VOIP setArenaChannelStatus ignored - arena screen not loaded yet! 19.232 WARNING: PostFXManager::preloadOutsideTextures: unknown post processing effect screen_particles! 19.497 ERROR: [ENVMIN] Failed to load texture spaces/00_28_hangar_Vengeance_peace/textures/trees.dds! 19.498 ERROR: [ENVMIN] Failed to load texture spaces/00_28_hangar_Vengeance_peace/textures/base_0.dds! 143.501 WARNING: [ChunkLoader]: chunk item: entity not found. 144.032 WARNING: [ChunkLoader]: chunk item: pulseLight not found. 144.032 WARNING: [ChunkLoader]: chunk item: decaleCube not found. 144.032 WARNING: [ChunkLoader]: chunk item: flare not found. 144.032 WARNING: [ChunkLoader]: chunk item: directionalLight not found. 144.032 WARNING: [ChunkLoader]: chunk item: railPoint not found. 144.032 WARNING: [ChunkLoader]: chunk item: ambientLight not found. 144.032 WARNING: [ChunkLoader]: chunk item: station not found. 144.032 WARNING: [ChunkLoader]: chunk item: audio not found. 144.032 WARNING: [ChunkLoader]: chunk item: UserDataObject not found. 144.032 WARNING: [ChunkLoader]: chunk item: trigger_box not found. 144.032 WARNING: [ChunkLoader]: chunk item: ground_camera not found. 144.033 WARNING: [ChunkLoader]: chunk item: proxyvlo not found. 144.033 WARNING: [ChunkLoader]: chunk item: overlapper not found. 144.033 WARNING: [ChunkLoader]: chunk item: vlo not found. 186.012 ERROR: ServerConnection::onTimeOut(4025053): Disconnecting due to channel timing out. 186.047 INFO: Xmpp chat: deinitialized. 196.659 WARNING: [MovieDelegate]: Dispatching queue from non affinity thread. 198.463 WARNING: EffectManager::doFini: StateManager not deleted, 11 ManagedEffect's are still using it. 198.463 WARNING: EffectManager::~EffectManager: contains 11 effects on destruct. This could indicate a possible reference leak or destruction order issue. 198.463 WARNING: 1 - Effect shaders/std_effects/mesh_particle.fx not unloaded in time. 198.463 WARNING: 2 - Effect shaders/std_effects/mesh_particle_add.fx not unloaded in time. 198.463 WARNING: 3 - Effect shaders/std_effects/mesh_particle_alpha.fx not unloaded in time. 198.463 WARNING: 4 - Effect shaders/std_effects/mesh_particle_uv.fx not unloaded in time. 198.463 WARNING: 5 - Effect shaders/std_effects/mesh_particle_uv_add.fx not unloaded in time. 198.463 WARNING: 6 - Effect shaders/std_effects/mesh_particle_uv_alpha.fx not unloaded in time. 198.463 WARNING: 7 - Effect shaders/std_effects/per_frame_effect_pool.fx not unloaded in time. 198.463 WARNING: 8 - Effect shaders/std_effects/per_screen_effect_pool.fx not unloaded in time. 198.463 WARNING: 9 - Effect shaders/std_effects/per_view_effect_pool.fx not unloaded in time. 198.463 WARNING: 10 - Effect shaders/std_effects/sprite_particle.fx not unloaded in time. 198.463 WARNING: 11 - Effect shaders/std_effects/trail_particle.fx not unloaded in time.